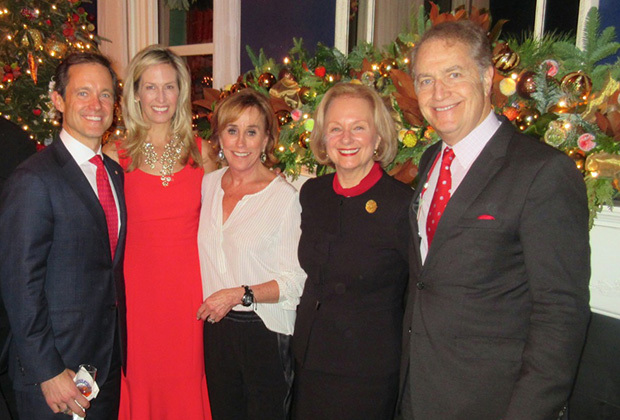 On December 15, Andy and Mike Manatos, and their wives Tina and Laura, attended a holiday party at the Vice Presidential residence, as they have in previous years. 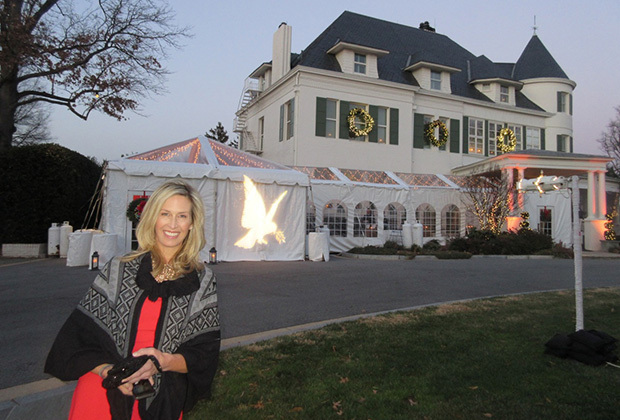 Vice President Joe Biden and Second Lady Jill Biden host a number of such parties each year. 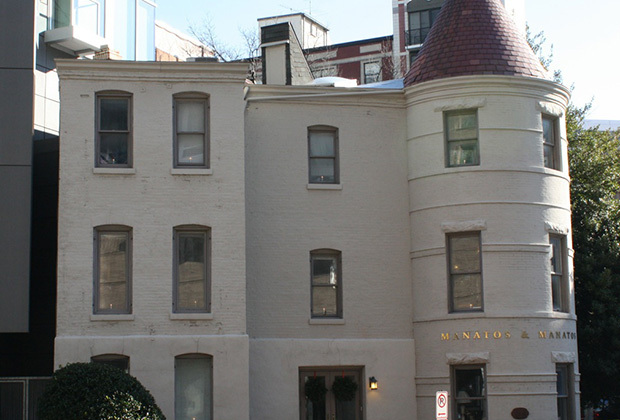 The Manatoses say they are honored to have been invited to attend the Biden friends and family party each year, which also includes many of the Vice President’s senior staff. Andy Manatos and Vice President Biden have known each other since Biden became a US Senator at age 30 and they worked on the same floor in the US Senate. Mike Manatos is also long-time friends with the Vice President’s sons Beau and Hunter, with whom he served as a US Senate page at age 17. 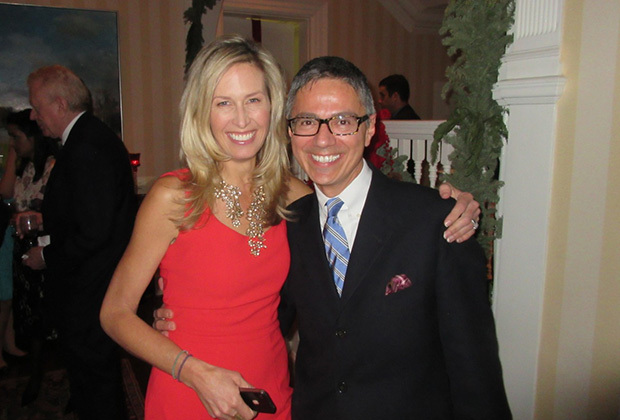 Laura Manatos has recently been involved with Second Lady Jill Biden in a number of breast cancer events. 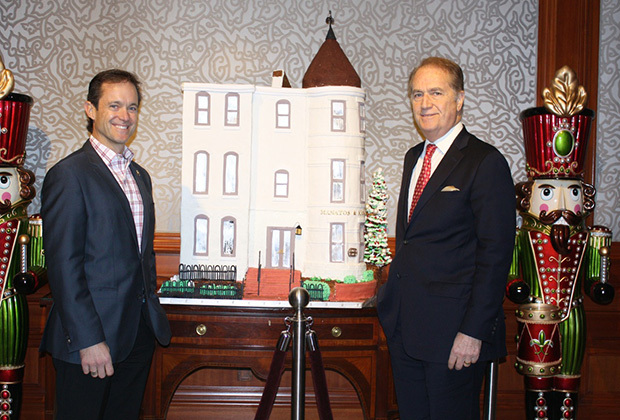 Another special this season for the Manatoses: The world-renowned hotel in Washington, DC frequented by American and other world leaders — the Ritz Carlton — is featuring this year in its holiday decorations a four-foot high gingerbread replica of the office building of the Washington public policy company of Manatos & Manatos. Manatoses have been involved in high-level American policymaking for one third of the history of the United States. Mike Manatos began working in Washington, DC in 1936 and rose to become the first Greek-American to serve in a senior position in the White House, as a top assistant of Presidents John F. Kennedy and Lyndon Johnson. Mike’s son, Andy Manatos, who served as the youngest Assistant Secretary in the Carter Administration, and Andy’ son, Mike Manatos, run Manatos & Manatos today. Recently, Mike’s brother and Andy’s son, Tom Manatos, who is also involved in the field of American public policy, was featured on the front page of one of America’s top newspapers, the Washington Post. The other Manatos brothers, Nicholas and George are a successful software businessman and filmmaker, respectively.